“On the evening of September 28, 2015, there was a rare total Lunar Eclipse of a Super Blood Moon. This eclipse was the fourth and final eclipse in a series of lunar eclipses called the lunar tetrad. These rare eclipses are known for causing energetic shifts and unexplained anomalies. This Harvest Moon was unique and phenomenal for many more reasons. Our ancient ancestors, the Sasquatch People, along with the Cosmos rejoiced during this full moon eclipse not only because of this sacred event but also because of the reconnection made between souls and the collective mission to share our experiences of love, truth, and wisdom from our Elder Brothers of the forest. 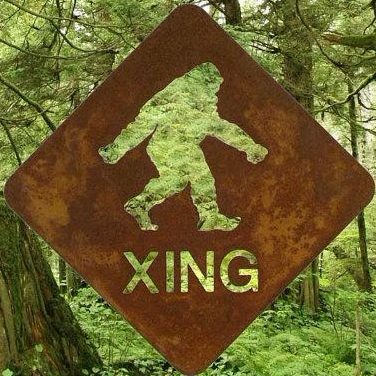 It is because that evening was the first time that I read a chapter from “The Sasquatch Message to Humanity.” It was Chapter 7 to be exact, and from that moment on, an obvious shift had begun. I immediately recognized this passage as truth and my own sasquatch guides were surrounding me and jumping for joy for this new reality and connection that I had made with the author, SunBôw, a spiritual brother whom I was destined to meet along my path. Our meeting on September 28, 2015 was an energetic catalyst to the channeling of the additional 43 chapters of the Sasquatch Message to Humanity; for the following day was the beginning of several long days for SunBôw of receiving and transcribing these channeled telepathic messages from Sasquatch Elder Kamooh. This re-connection created a flow that manifested into meeting and aligning with many more individuals from all over the world that know the Sasquatch People and their message of Love. The Sasquatch People and the Council of Star Elders say that NOW is the time to share this information and they are excited that more people are working together to save humanity and Mother Earth by raising our vibration to higher levels of consciousness. It is time to know our truth and to unite into peaceful interspecies relations and once again sit with the Council of Star Elders. It is up to our humanity at this time to make the necessary changes to collectively raise our vibration in an effort to avoid another mass extinction and destruction of our planet. It all starts by changing our thinking. Everyone likes the idea of saving the world, but if you try, the world will destroy you. However, if you change yourself, the world around you will change with you.